What Is the Income Potential of a Commercial Restaurant Cleaning Service? 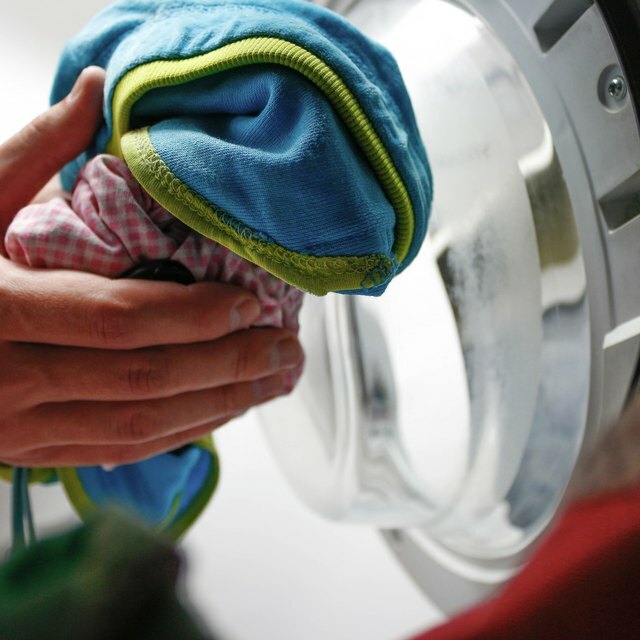 How Much Does It Cost to Start a Laundry Business? Many restaurant owners know that an unclean kitchen can cost them their reputation and even their business. Even one case of suspected food poisoning can lead to a bad review and fewer customers. To prevent any such issues, some restaurants, bakeries and caterers hire commercial kitchen cleaners. Starting a commercial cleaning business to meet this need can be lucrative. However, it's important to understand the startup costs, potential income, necessary skills and regular expenditures that these companies have before you start one. One startup cost that small businesses of all kinds have is getting incorporated. These fees cover the expense of filing the paperwork to become a legal business. If you decide to make your company a Limited Liability Corporation, you can expect this process to cost anywhere from $100 to $500. For a sole proprietorship, the fee is typically under $100. The incorporation costs may also include other licensing fees. It's important to check your state's regulations to determine what you need. If you hire a lawyer to file for you rather than going through an online service, you may also incur hourly fees from the attorney. What Should I Charge for Carpet Cleaning? To protect yourself from legal liability and profit losses, you will also need business insurance. Depending on the deductible and coverages you choose, the premium could be between $500 and several thousand per year. Be sure to get quotes from a few brokers before selecting a plan. Before you can clean any commercial kitchens, you must have the right equipment. The exact materials you need will depend on the services you offer. For example, a basic daily service requires small equipment like rags, mops and a vacuum. However, a monthly deep clean of things like vent hoods could mean you need a power washer. You can choose to pay for your equipment up front, which will reduce your overall costs. However, this could mean adding several thousand dollars to your startup costs. Instead, you can find a vendor that will extend a line of credit. This process can give you a few months to work and pay for the equipment. Finally, your startup costs should include a marketing budget. At the very least, you will need to set up a website. You can either choose a do-it-yourself solution or pay an expert to design a custom site. Hiring a designer will be more expensive up front, but it may give you a better website. Your marketing budget may also include some local advertising. Even if you plan to go door to door to talk to restaurant managers, you will need business cards or flyers. A thorough marketing plan can help ensure that you have customers starting on day one. Before you can start, you have to decide what services you offer and your pricing structure. Will you offer daily, weekly, monthly or one-time cleaning? Each of these services has different components. For example, commercial kitchens typically need to clean the ovens, deep fryers, floor drains, anti-fatigue mats and walk-ins every week. A weekly service may also include a basic cleaning of all the other equipment. However, one-off services may consist of deep cleanses of every part of the restaurant. You can also choose to offer more than one of these services. Next, determine how you will structure your pricing. Some restaurant cleaning services charge by the hour. Typically, this rate will be about $50 to $150 per hour. Small crews of just two or three cleaners charge about $50 per hour because it will take more hours than larger teams to finish each job. Other cleaners charge per square foot or give personalized quotes for each job. If you choose either of these paths, be sure to think about how many hours each job takes. For example, if your crew takes one hour to clean 100 square feet, be sure to charge at least $2 per square foot. One of the most critical expenses that any company encounters is labor. If you plan to work as part of your cleaning crew, that doesn't mean you're clear of all labor costs. You may want to invest some time and money into continuing education to gain the right skills for the job. Furthermore, most cleaning services send more than one person to a commercial kitchen. No matter who you hire, you should be sure to offer at least the minimum wage for your area. While the federal minimum is only $7.25 per hour, some jurisdictions require workers to have higher wages. However, higher hourly wages can attract more experienced cleaners. These workers may require less training, perform better and lead to happier clients than new cleaning professionals. Of course, satisfied customers are critical to your business, so the extra pay can be well worth the investment. To decide exactly how much to pay, you may search for comparable jobs in your area. Include cleaning professionals as well as cooks in your search. When you see what these workers make nearby, you can determine what you need to pay to be competitive. On average, janitorial workers make $12.00 per hour. Most of the expense of a cleaning business is in the startup costs. However, you will need to budget for a few monthly payments. In addition to labor, consider the costs of the soaps you will need to restock each month. You can get these from commercial providers, which is significantly cheaper than your local grocery store. Consider your transportation costs as well, especially if you will use a company vehicle. Gas, tolls, vehicle maintenance and depreciation all factor into transportation. You may also have ongoing marketing costs to consider. Be sure to set aside a fund for monthly payments on equipment if you lease or buy it on credit. Otherwise, you may want to consider setting aside some money each month to save for new machines or repairs when something goes wrong. With all of these factors in mind, you can determine how much your restaurant cleaning services can bring in. Multiply your hourly rate by the number of hours you expect to work each month. This may be fewer hours in the first few months as you build your business. With this in mind, make the calculation for each of the first 12 months and add these together. You should then have an estimate for your first year's gross income. Next, add up your monthly expenses including labor, and multiply this by 12. Add your total startup costs and any yearly fees to your previous total. This is your estimated yearly expense. Finally, you can subtract your estimated yearly expense from your estimated first year's gross income. The total will be an approximation of what you can take home from the business in the first year. You can repeat this process for several years into the future. Take out the startup costs, however. You may also want to account for potential growth, including bringing on more customers and hiring more cleaners. One of the most important ways to make a cleaning business profitable is to have recurring customers with contracts. To entice restaurant managers to sign such contracts, you may offer slight discounts for these customers. You can also bring new customers in with deals. For example, you may offer 20 percent off the first cleaning to help restaurants make the switch from another company. You can also offer 10 percent off monthly deep cleanings when they sign up for weekly services too. While these deals can help bring in customers and keep your business stable, you need to factor in the losses you take from the discounts. If most of your clients take advantage of the 20-percent deal for first cleanings, expect your first month's income to be about 20 percent lower than your estimate. CostOwl.com: How Much Does a Commercial Kitchen Cleaning Service Cost? Mackenzie Maxwell is a small business owner. She has two businesses, including a martial arts gym in Texas. Prior to building her own, Mackenzie worked with small businesses and organizations to create effective marketing - from churches to insurance companies. She enjoys helping businesses with the startup spirit grow. Mackenzie has been writing in this field for six years and shows no signs of slowing.